Two sisters, Amy Taylor Alpers and Rachel Taylor Segel, trained under Romana Kryzanowska, Joseph Pilates’ protege and inheritor of his studio in NYC. This lineage is significant because Amy & Rachel have strived to foster the legacy and tradition of the original, classical method of Pilates. They founded their studio in Boulder in 1990. These women make it their mission to heal the world by teaching Pilates, and their passion and commitment to maintaining the integrity of the method inspires others to become teachers. 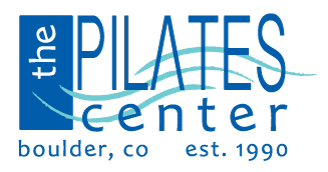 The Pilates method is a system of movement and therapeutic exercise developed over a span of 60 years by German born athlete and physical therapy pioneer, Joseph H. Pilates. Utilizing the specialized equipment he designed, the method works by toning muscles as well as balancing muscular force at the joint level. It stimulates circulation through facilitating muscular flexibility, joint range of motion and proper musculoskeletal alignment. In addition, it promotes new neuromuscular patterns, heightened body awareness, and more precise coordination. All these things combine to help prevent future re-injury and reduce – even in some cases alleviate – chronic pain altogether.